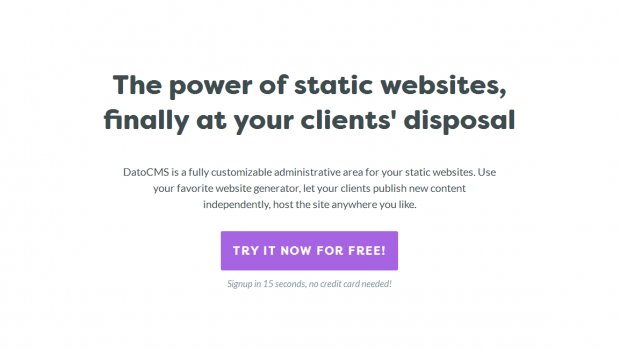 DatoCMS is a fully customizable administrative area for your static websites. Use your favorite website generator, let your clients publish new content independently, host the site anywhere you like. DatoCMS administrative interface is incredibly simple to use, yet flexible enough to allow the management of pretty much any kind of website. HTML templates that use these content files to generate the actual static pages of the website. 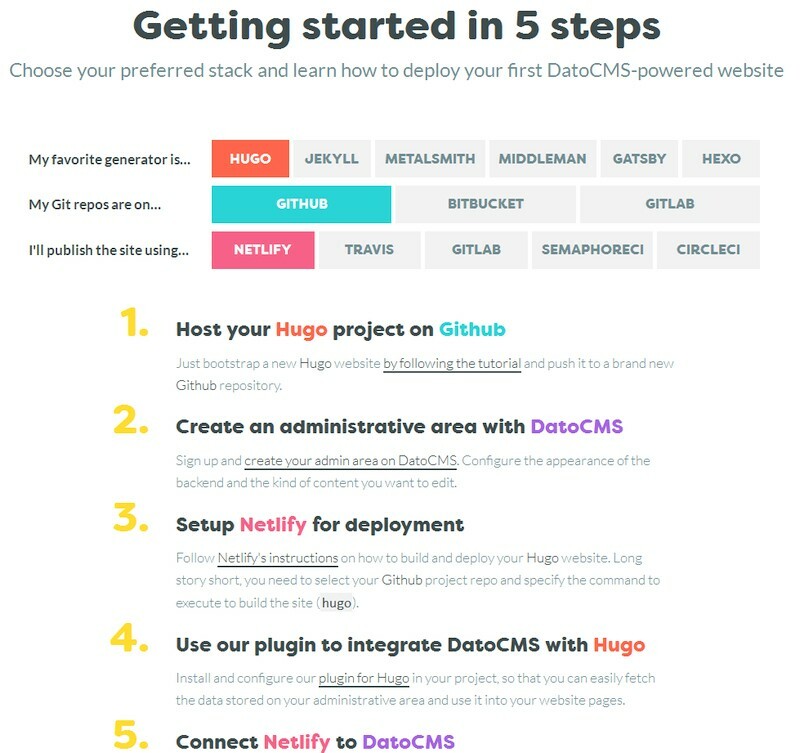 Using the DatoCMS plugins, all the stored data gets transformed into local Markdown/config files, so that can be „digested“ by the static website generator just as it was written by hand. When the editors press the „Publish“ button, a new website build gets triggered and updated content is deployed online.